The Caffeo Bistro ranked highly on our top ten table of all bean to cup machines in 2015 and for most of 2016 too, and now the popularity of the Barista TS has risen so much that it’s taken the Bistro’s spot in our 2018 table. So, what is it that Melitta have improved on to make this slightly pricier model so good? Let’s dive into our Melitta Caffeo Bistro TS review to find out what all the fuss is about. We’ve chosen the black edition because it’s currently selling the best, but clearly if one of the other options fits better in your kitchen, we’re not saying this one is any better. Most online stores simply allow you to switch the colour on the product page, it’s as straightforward as that. If you’ve seen one of these machines ‘in the flesh’, you won’t be surprised that the first thing we’re going to mention is the design. Compared to most bean to cup coffee machines on the market, this is an absolute masterpiece – it’s a really clean finish that’s been cleverly thought out to provide touch sensitive operation without chunky buttons and knobs all over the place. The result is something that looks much simpler to use, even though it’s still capable of doing at least as much as the lower models in the range without losing any configuration options. Admittedly, it seems a little odd to push this down to the second point, but the design really does stand out that much, and we really believe it will appeal to house proud owners to the point that it becomes the machine of choice. That’s not to say the quality of coffee isn’t important, so luckily that’s something that the Barista TS excels with too. Specialising in espresso, ristretto and lungo, along with the obligatory double espresso and ristretto for those times when a single just isn’t enough, this machine also produces a fine cafe creme, americano and long black option too. If you’re more of a fan of a cappuccino, latte or macchiato you won’t be let down either, this machine is a great all rounder from Melitta, thanks to its bespoke milk attachment chamber delivering that creamy extra when you need it. A dual bean store means that you don’t need to empty out one supply to swap for another when you fancy a change, both can coexist happily, only needing attention when a refill is required. Of course, if you’ve only got one bean of choice, fill both sides at the same time and forget the refills for longer! While some machines still work without a display as all, most only go far as a simple LCD message. Not the Barista TS, here you get a full colour TFT screen. OK, it won’t let you watch TV, but it does make setting up the machine far more intuitive than most bean to cup makers, including helping you through the dreading cleaning functions. Integrating well with the TFT screen are Melitta’s clever ‘Touch and Slide’ controls, giving you much more control over the length of your coffee (that’s how much you get in plain english! ), along with customisable strength – a perfect way to visually represent the important aspects of making your ideal coffee. Not happy to stop there, the Melitta Caffeo Barista TS also has a memory option, so up to four configurations can be saved, meaning that you don’t have to keep modifying the settings to each member of the household’s tastes. Something that’s always been a bugbear of owners of either older or lower end machines is the limitation of making multiple cups. It’s bad enough for two of you, but if you’re entertaining six or more adults, you can feel like you’re spending half an hour making coffee after a meal if you’re not careful! There’s the obvious fact that it’s an inconvenience, but more importantly you’ll not be enjoying the drinks together as the first ones will have cooled before the final ones are ready. That’s also improved in the Barista TS, as the programmes can be set to dispense two coffees at a time, and the impressive speed means you’ll be done far quicker than with other models. We’ve touched on this with some other machines, so this isn’t by any means a benefit exclusive to this Melitta model, but a lot of people like tall cups and mugs. The TS nozzles have adjustable height, meaning you’re safe to use anything up to 14cm with this machine. This has no bearing on quality of coffee, but we absolutely love this feature which probably illustrates just how much thought has gone into this machine. There are LED lights built into the dispenser to illuminate your cup. Even in low light you’ll see when the last drips are in the cup, and you’re safe to give in to temptation and enjoy your coffee. Looking at the Barista TS, you could be forgiven for thinking that the milk canister is an after though, bolted on to the side. It’s actually a very smart solution, as it is much easier to clean because it’s not an integral part built into the main machine. We’ve all had those times when we’ve forgotten we’ve left milk sitting somewhere for days on end – so hopefully it’s clear to see that while it’s still going to be a slightly unpleasant task, having a separate unit to clean is much easier than in the machine itself. What’s more, this is much more flexible, as you can position the milk system on either side of the machine, or any other way that it fits in your kitchen. For those with limited space this is likely to be a huge plus over a slightly larger unit that it’s built in to. If you’ve had a look at other reviews on the site, you’ll probably have realised that virtually all modern machines include a cleaning routine in one form or another. The Barista TS is no different, with the use of blasts of steam and hot water used to carry out the functions to minimise your work. It’s also worth pointing out that these functions also include the milk system, great for peace of mind that the hygiene angle is covered throughout the machine. The little effort you do need to put in is clearly covered in the provided booklet. There’s also descaling fluid available to use with the machine, along with the required cycles controlled by the TFT screen referred to earlier, particularly important if you live in an area prone to limescale build up. Do you hate that moment you realise you’re out of something at home? Coffee is a common one to fit into that category. The Barista TS monitors the bean level in the machine and warns you in advance of them running out. Take notice, and you’ll never need to run out again! 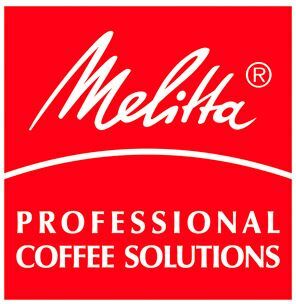 Melitta’s confidence in their machine shines through with their generous warranty. Doubling the standard guarantee length of a year to two years, the Barista TS will be covered from purchase for this period or 15,000 cups of coffee, whichever comes first. Provided you’re not using this machine in a commercial setting that two years is likely to be what matters, unless of course you’ve got a serious coffee habit of have a lot of coffee drinkers in your home. In this section we’ll take a brief look at the comments provided by previous customers, as they’re the real life users of the machine. We like to think we’re experts, but sometimes it’s not enough just to know about features and benefits, and other people’s opinions can be very helpful. As you’ll have read above, the Barista TS looks great, but we have to agree it’s pipped in the beauty stakes by the premium manufacturer Jura’s machines. We’ve not reviewed their range yet on the site purely because of the price, but are planning to introduce some next year. As a side point, if you fancy a look at the Jura range, you can see the Amazon prices of Jura bean to cup machines here. Back on point though, the Barista is far cheaper, and customers have noted that it’s difficult to spend twice as much on a Jura when the Barista TS is so impressive. If you look hard enough there’s always a car reference somewhere, and the comparison to the Barista TS is with a Merc, a very stylish motor indeed! There’s plenty of uses of the word outstanding, and a general feeling that it also improves with time as you learn to use the machine, and with its memory functions it learns about you. Delonghi have consistently done well in our top ten tables, but the fact is that sometimes you want something a little better in life than something that appeals to the masses. If you’re a true coffee lover, but don’t want to spend thousands of pounds on a machine, this seems to be the machine people are loving. It’s certainly in the premium bracket, but it’s not going to set you back anything like as much as the top end models from other manufacturers that are very similar. We always like to find a negative comment from a customer to show we’re not only focusing on the pluses, or trying to hide faults, and with some machines, (this Melitta and Sage’s Dual Boiler and Barista Express spring to mind), the comments are overwhelmingly positive. However, there is one recurring theme, and that is the instructions will need to be revisited several times to really master the machine, particularly the more advanced functions. There’s no reason to think you can’t get started quickly, but the chances are that if you’re spending this kind of money on a coffee machine, you’ll want to keep the manual handy at least for a few weeks after getting it, so you can learn what the in depth controls do and how they work. Well, here we are at the end of the review and we need to sum all of that up in a short paragraph. Quite simply, this machine is amazing. Yes, it’s going to cost more than most other machines we’ve reviewed, but this is a machine for coffee lovers, and it’s going to be something you buy to last you much longer than the two year warranty. As with TVs and other electricals, you don’t expect to replace it after the warranty period, so look at this as an investment in great coffee for the next five or ten years. How much could you spend in Costa or Starbucks in that time if you didn’t have a home machine? After reviewing this machine, I can honestly say I’m not surprised that it features at number 2 in our best buy list, and the only thing that’s keeping it off the top is the fact that it’s more expensive than casual buyers (rather than real coffee lovers) are likely to want to spend. If the price doesn’t scare you off – this is a real contender, if you can’t stretch this far, have a look at the Caffeo Solo or the Barista Express instead. beantocupcoffeemachines.net is a participant in the Amazon EU Associates Programme, an affiliate advertising programme designed to provide a means for sites to earn advertising fees by advertising and linking to Amazon.co.uk. beantocupcoffeemachines.net is a participant in the Amazon Services LLC Associates Program, an affiliate advertising program designed to provide a means for sites to earn advertising fees by advertising and linking to Amazon.com.